I’ve extended my sale on Barley Crusher malt mills as well as the “How to Brew” video series I shot with John Palmer until Wednesday, 23 Sep at midnight Eastern time. This is a great time to pick up a Barley Crusher grain mill at our lowest price ever, and also learn more about brewing from my video series. 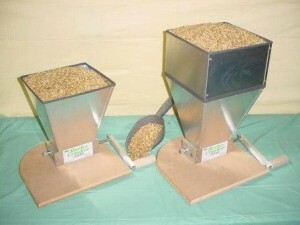 Looking for a great price on an amazing malt mill? In partnership with BC Products, we’re offering the Barley Crusher Malt Mill at over 20% off the regular price. It’s a dual steel roller, adjustable malt mill designed to provide the perfect crush for all grain brewing. This is the malt mill I use for my all grain brewing. It is available with a 7lb or 15lb hopper. You can learn more here or place your order. The 7lb mill is on sale for $99.95 and 15lb hopper mill available for $124.95. International shipping is also available – add it to your cart and enter your address to get an estimate before finalizing your order. Looking to start all grain brewing or help someone learn how to brew with extract? Last year, award winning brewing author John Palmer and I filmed two full length DVDs on beer brewing. 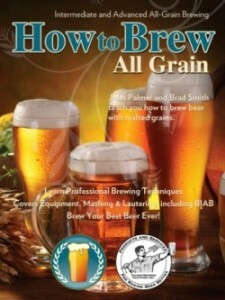 How to Brew All Grain is an introduction ot all grain beer brewing that lets you move from extract to all grain brewing easily. It shows you step by step what equipment you need, how to crush, malt and sparge your grains, and how to turn that into great beer. The How to Brew with Malt Extract does the same for extract brewing and is oriented towards new brewers who are just entering the hobby. You can see the trailers or place your order here. Both are available on DVD or you can purchase an online/downloadable version from Vimeo. You can get either video on DVD or online for the sale price of $14.95. Take advantage of these sale items and pick up a malt mill or video for yourself or your favorite brewer today! The offer expires on Wed 24 September 2015 at midnight Eastern time.